Apartments Sennaya Square. Near metro. 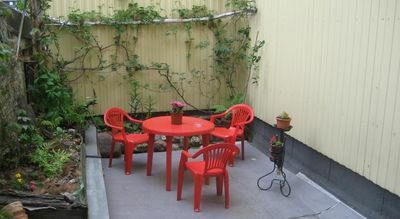 The outdoor terrace, comfortable kitchen, separate WC, high ceilings and two bedrooms communicating living room and office - all for your convenience. On the Seine area 2 minutes from the intersection of the 3 metro lines. Near Shelter comedian theater 10 minutes Academic Bolshoi Drama Theater. GA BDT. cozy cafe food market, the embankment of the river Fantanki, 10 minutes Issakievskaya area, Nevsky Prospekt, Gostiny Dvor within walking distance of the Admiralty, Bronze Horseman, Palace Bridge, Hermitage, Theatre Square, and other sights of St. Petersburg. 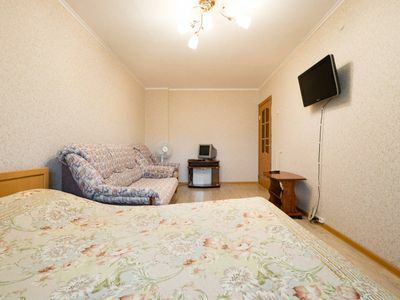 We will try to make your stay in St. Petersburg comfortable and memorable. 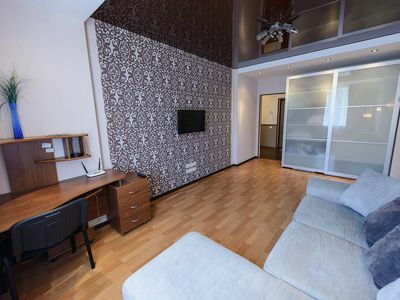 Area combines the historical and modern buildings proximity of Palace Square, Admiralty, the Kazan Cathedral, Theatre Square, Nevsky Prospekt and many other historical attractions will make your stay comfortable for a comfortable stay. Hay area is one of the oldest squares in St Petersburg. On it went out the road on which the merchants and peasants drove to St. Petersburg is now shopping malls and historical monuments will open their doors for you for unforgettable days and three subway lines and a huge amount of ground transportation links provide quick and easy access to any part of Venice of the North. 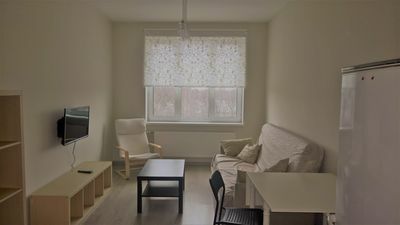 Careful handling to furniture cleanliness and quiet in the apartment and in common areas. Smoking is only possible on the terrace Rules accommodation, approved by the Government Resolution (phone number hidden). Non-smoking apartment. 2 3- . 10 . .. . , , 10 , , , , , , - . , , , , . -. 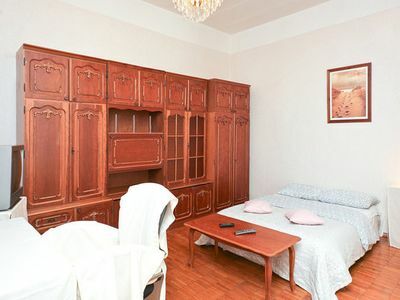 , - - .
. , (phone number hidden). .
5 zvezd apartment. Park Gagarina.